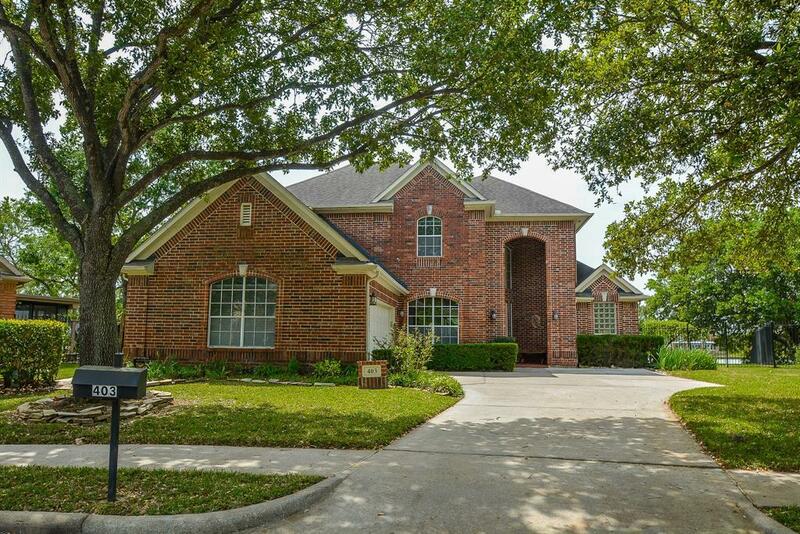 THIS STUNNING BRICK BEAUTY IS PERFECTLY SITUATED AT THE END OF QUIET LAKEFRONT CUL DE SAC! 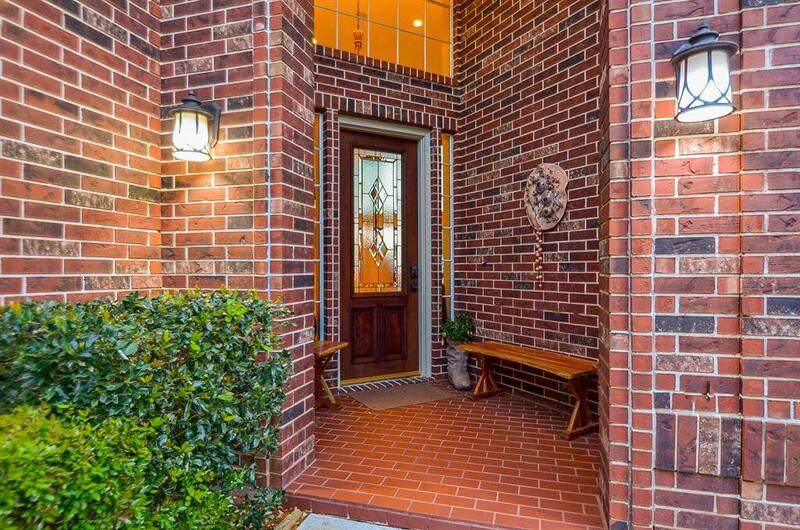 THE HOME IS IDEALLY LOCATED AS IT IS STEPS AWAY FROM RESTAURANTS, SHOPPING, & COMMUTER ROUTES! 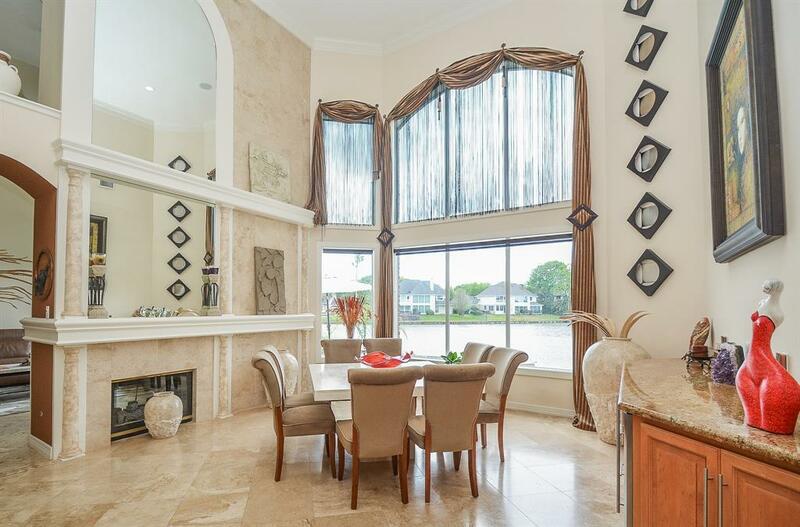 THIS RESIDENCE, WHICH WAS A PREVIOUS MODEL, HAS ONE OF THE BEST WATER FRONT LOTS IN ALL OF SUGAR LAND! THE VIEWS ARE GLORIOUS! 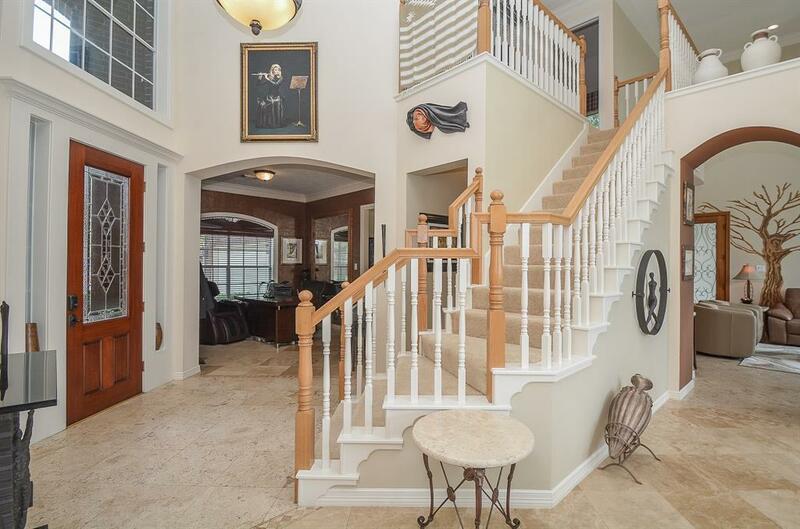 THE INTERIOR HAS BEEN TASTEFULLY UPDATED AND METICULOUSLY MAINTAINED! THE STONE FLOORING FLOWS THROUGHOUT THE FIRST FLOOR AND THE CUSTOM DETAILS AND MOLDING ABOUND THROUGHOUT THE ENTIRE HOME! THE KITCHEN HAS A HUGE ISLAND THAT IS PERFECT FOR FAMILY DINING! THE KITCHEN IS COMPLETE WITH DOUBLE OVENS, GAS COOK TOP, DOUBLE DRAWER DISHWASHERS, AND GORGEOUS GRANITE COUNTER TOPS! THE MASTER BATH HAS BEEN UPDATED WITH GRANITE AND STONE VESSEL SINKS! THE MOMENT YOU STEP OUTSIDE YOU WILL FALL IN LOVE! THE HUGE COVERED PATIO WITH COMPLETE SUMMER KITCHEN IS AN ENTERTAINER'S DREAM! THE SPARKLING INFINITY POOL AND SPA HAVE UNSURPASSABLE VIEWS! THIS IS TRULY A RARE FIND! DON'T MISS THIS HOME!